This is not a review of Pilot Kakuno fountain pens by any means. I’ve compiled a list of links at the bottom of this post, if detailed reviews are what you’re looking for. 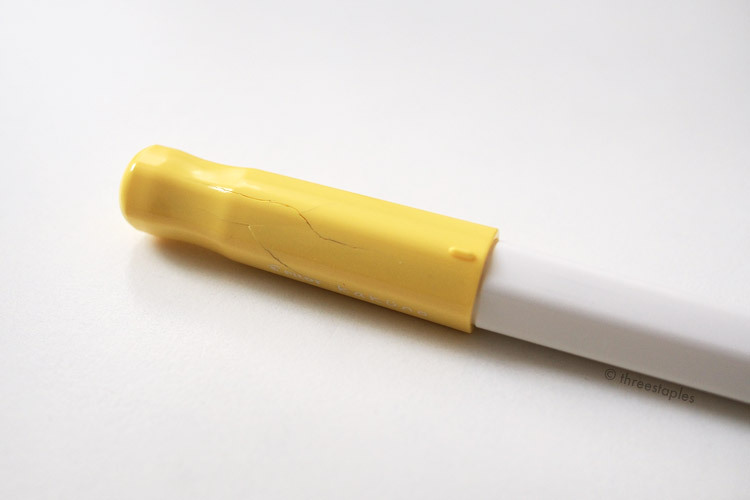 The white/blue pen is still in “perfect” condition! Which is strange because it is the second oldest one out of these three. The curves on Kakuno made the patching-up a bit challenging. I first used some clear Scotch tape on the areas with funky angles, so that my messy application of the tape is less noticeable, and then added a piece of decorative washi tape over the majority of the cap. 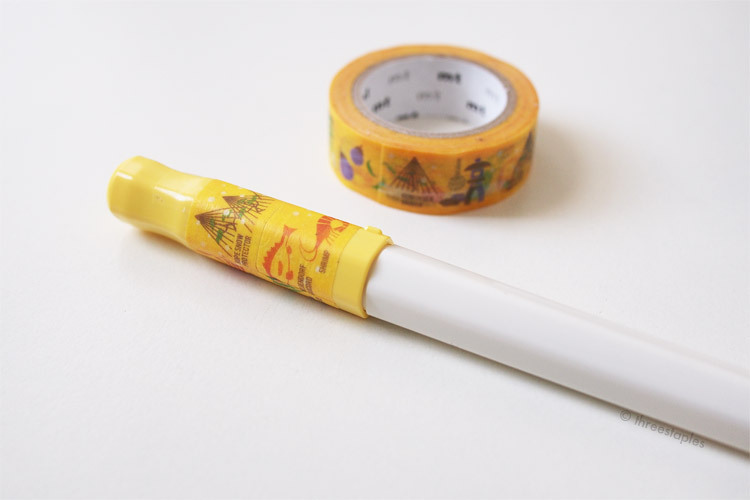 The yellow tape is a design from mt ex Kanazawa. We’ll see how long this fix lasts, but I assume it’ll be good for awhile. 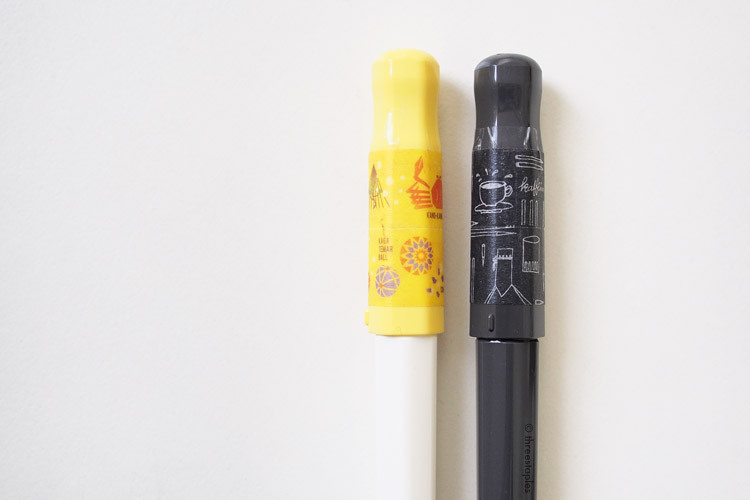 I don’t carry fountain pens outside too often or travel with them, so leakage won’t be an issue, I hope. 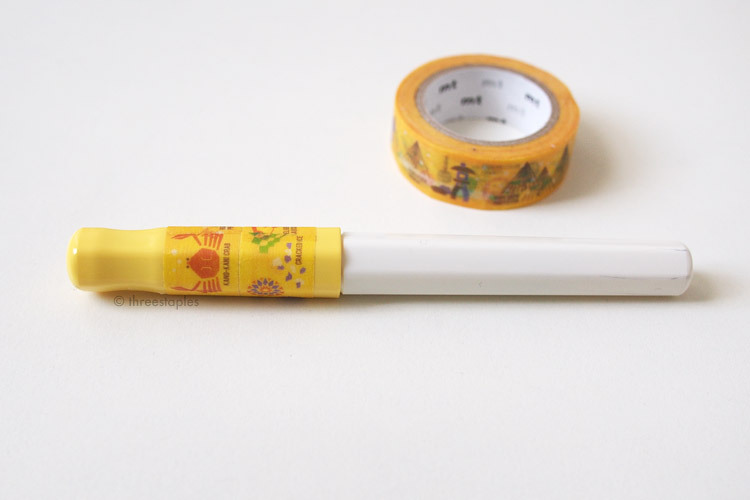 I might replace the washi tape once in awhile, just to change the visuals, or if it becomes too dirty. The dark gray washi tape is “Work & Fika” design from mt × OlleEksell. Has this ever happened to your Kakunos? Did you stop using them or try to patch them up like I did? I planned on buying another one (the gray/red one is very tempting) but I’ll have to reconsider now.